This year’s theme for Save The Children’s fundraiser was “A Night of Hits” and it certainly was! 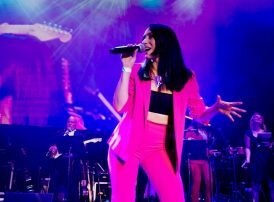 The AllStars Collective as a 17pc band raised the iconic Roundhouse roof for two and a half hours with guest artists fronting the stage with us including Melanie C, Beverley Knight, Nik Kershaw, Sophie Ellis-Bextor and The Pointer Sisters. It was a phenomenal night! We are delighted and proud of the fact that the event raised over £1.2m for an absolutely vital charity.